The beer industry has seen an explosion of craft brews in recent years. These tasty beverages are created in small, independent brewers who only use traditional methods to create flavorful beers unlike your standard fare. There are more than 5,000 craft breweries throughout the country, brewing thousands of different beers. While visiting one of your local breweries or other establishment that offers craft beers, you’ll likely discover some fantastic brews only available on tap. This makes it inconvenient when you’d like to take one of your favorites home to enjoy or share with someone else later. This is when growlers come in handy. A growler is a 64-ounce container made of glass, ceramic or stainless steel with the primary purpose of transporting draft beer. These air-tight jugs are perfect for taking a craft beer from one place to another without affecting the quality of the brew. Not all breweries or drinking establishments will fill up a growler and/or let you walk out the door with it. However, you won’t have that problem at Cartwright’s Market. We encourage you to bring in one or more growlers to transport some of our delicious craft beers home with you. 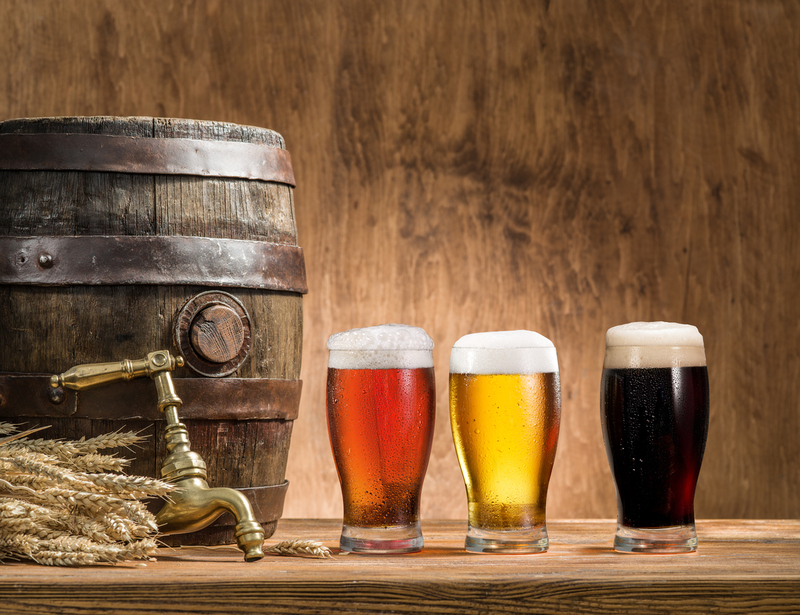 We have an array of beer styles to cater to varying tastes, featuring some of the best craft beers from local Oregon breweries, as well as, several from neighboring states. Some popular beer styles we regularly have on tap include IPA, Pale Ale, Brown Ale, Gose, Porter, Stout and Amber Ale, and we regularly offer kombucha and craft ciders, as well. You’ll find our tap list always growing, so you never know what you’ll discover. To help you with new beer choices, our online tap list includes links to rankings and descriptions provided by Rate Beer and Beer Advocate. Plus, if you’re worried whether we’re running out of one of your favorites, another online feature shows you how much is left of each one. Our selections come from breweries of all sizes and include popular brands like Lagunitas, New Belgium, Sierra Nevada, Avery, Stone and more. Stop by our tap room at 825 Union Avenue in Grants Pass, Oregon to sample our latest craft beer offerings and don’t forget your growler!